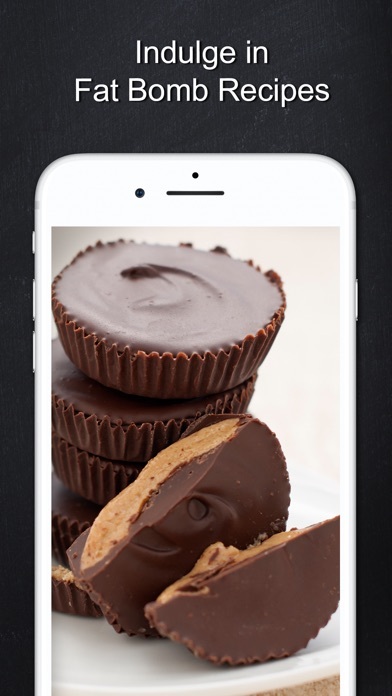 Keto Diet Recipes is the best Keto Meal Planner & Ketogenic Nutrition plan on the Appstore! Included are over 100 recipes catering just to Keto dieters so you can take the stress out of planning, and accomplish your goals. All Keto Diet Recipes are organized into categories according to meal and include Breakfast, Lunch, Dinner, Fat Bombs, and Desserts! One of the most comprehensive Recipe lists for Keto Dieters! 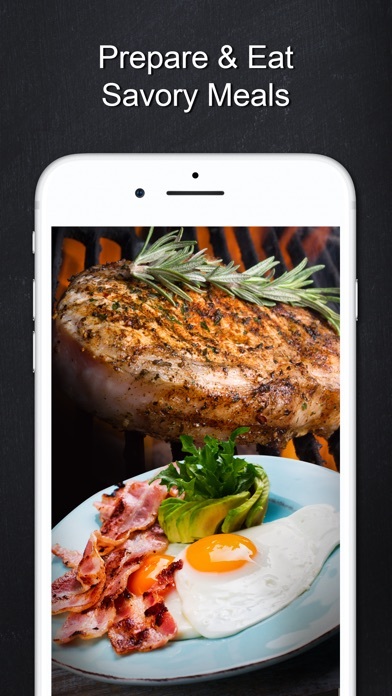 Ketogenic Meals include: - The most comprehensive Keto Recipe app which includes all meals and Fat Bomb Snacks! - Delicious Keto Breakfast recipes including Cloud Eggs, Crepes, Muffins, and Pancakes! 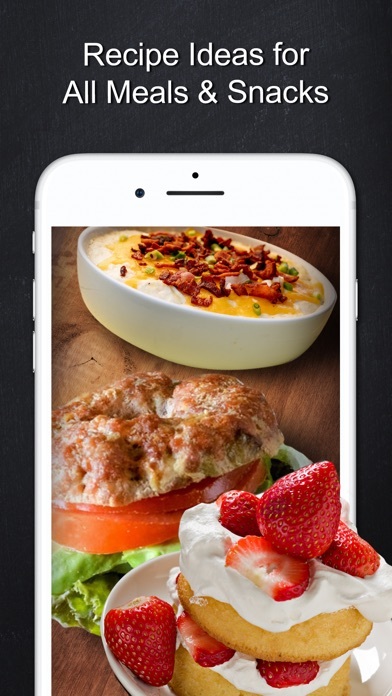 - Lunch Keto Recipe ideas including Cobb Bacon Cups, Quesadillas, Egg Salad and other delectable recipes. - Ketogenic Dinner includes delicious pizza, casserole dishes, steak recipes, and tenderloin - Keto Fat Bomb snack recipes to satisfy your hunger and cravings between meals. - Ketogenic Dessert recipes include out of this world desserts that taste so delicious, and satisfy your sweet tooth! 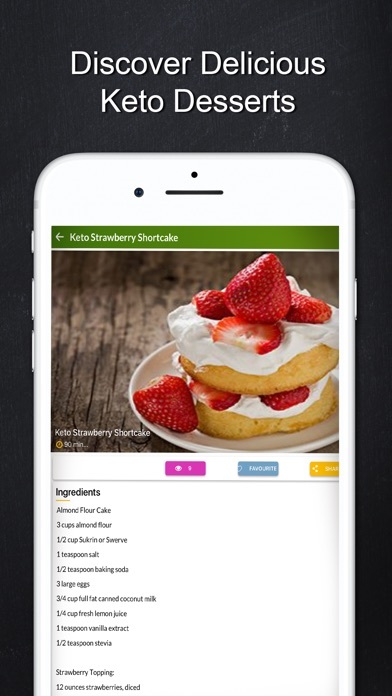 - Easy to navigate screen with categories for each recipe. 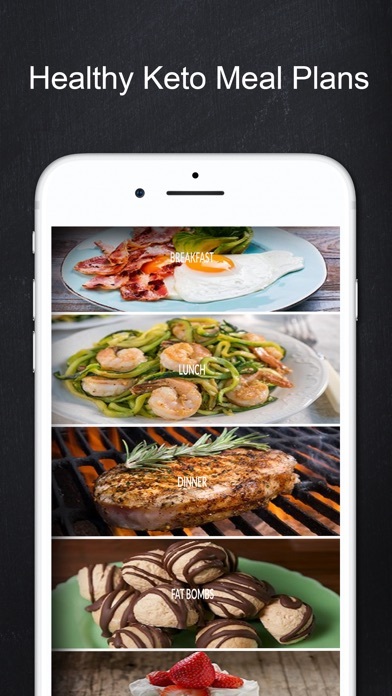 - Keto Diet Recipes takes the stress out of meal planning, and has the most variety of recipes compared to any app. The best part about Keto Diet recipes is no subscription fees are charged monthly. A one time purchase unlocks all the Recipes you need to get started with the Keto Diet. Get started with Keto Diet Recipes and Kick-Start your weight loss goals with the easiest and most delicious recipes to prepare. Get ready to burn the fat, but enjoy delicious food without feeling hungry, and watch the weight melt off.